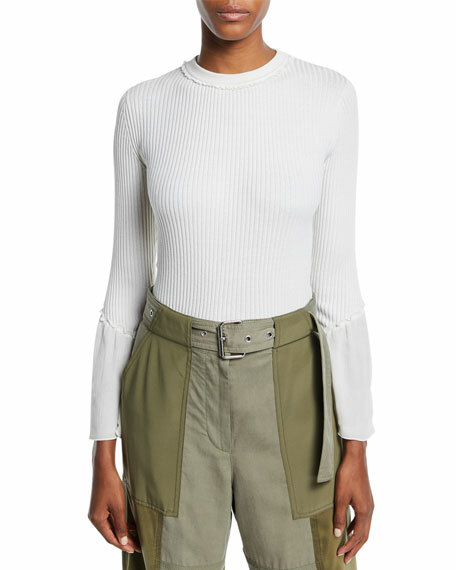 3.1 Phillip Lim rib-knit sweater with sheer chiffon trim. For in-store inquiries, use sku #2509416. Akris punto sweater with signature laser-cut dots at hem. Bateau neckline. Tuxedo shoulder detail. Long sleeves. Loose fit. 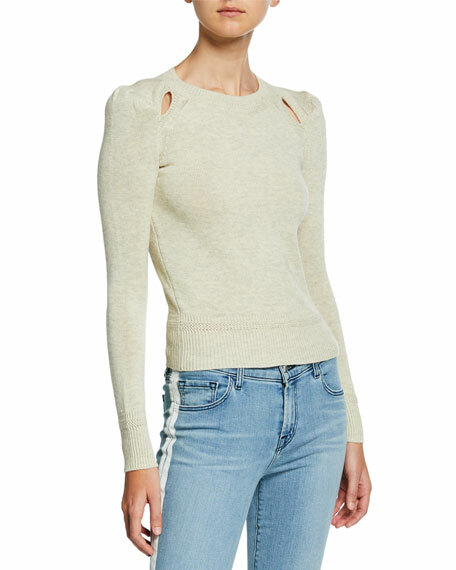 Pullover shoulder. Cotton/viscose. Imported. 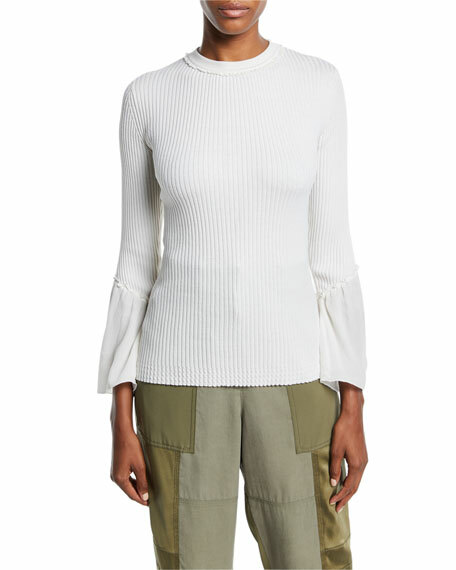 Etoile Isabel Marant "Klee" sweater in lightweight knit with cutout details. 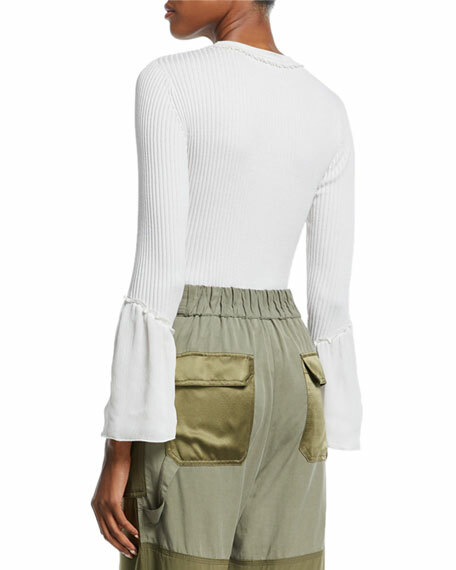 Ribbed neck, cuff, and hem. Crew neckline. Long sleeves. Relaxed fit. Pullover style. Cotton/wool. Hand wash. Imported. 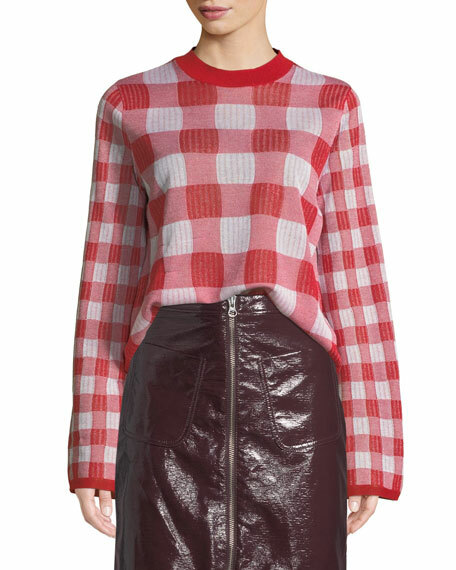 McQ Alexander McQueen checkerboard knit sweater. Crew neckline. Long sleeves. Relaxed silhouette. Pullover style. Viscose/polyester. Imported. Model's measurements: Height 5'10"/177cm, bust 33"/84cm, waist 25.6"/65.2cm, hips 35.8"/91cm, dress size US 2-4/FR 34-36.